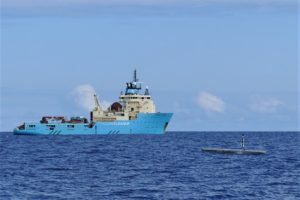 An AutoNaut unmanned surface vessel (USV) has been launched alongside the revolutionary system of The Ocean Cleanup, the non-profit organisation deploying advanced technologies to rid the world’s oceans of plastic. 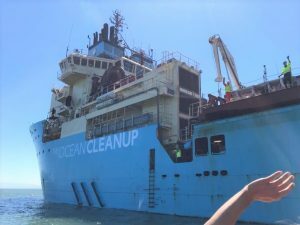 The Ocean Cleanup System 001, also known as “Wilson”, is undergoing extensive sea trials approximately 350 nautical miles from San Francisco, to test the behaviour of the system. If all goes well, it will relocate to the “Great Pacific Garbage Patch” (GPGP) where it will begin the challenge of removing tonnes of plastic debris. The role of the AutoNaut USV is to conduct long-term monitoring of the surrounding environmental conditions and provide information on “Wilson” itself. 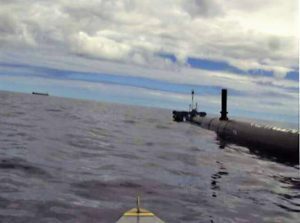 The AutoNaut USV is operating directly alongside The Ocean Cleanup’s at-sea garbage-collection system. The small autonomous craft is overseen remotely by an operator at sea and a small team based on the south coast of England. Cameras on the AutoNaut’s mast and hull provide a live-feed view of “Wilson” both from above and below the sea surface. Onboard sensors provide a scientific understanding of the environment by measuring the sea surface waves, oceanic currents, water quality and weather conditions. 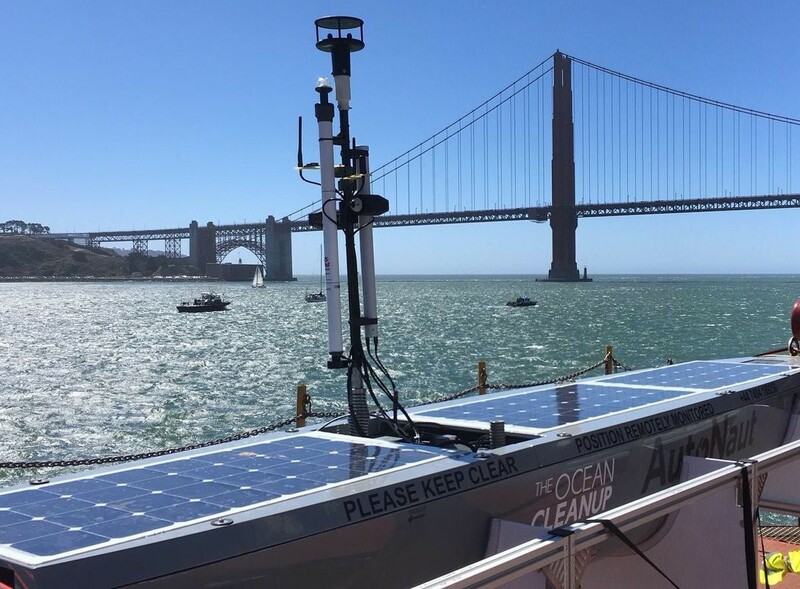 A send-off from San Francisco was seen live by viewers around the world who watched the Maersk Launcher tow The Ocean Cleanup “Wilson”, with AutoNaut on deck, under the Golden Gate Bridge. The next stage after this first two-week trial is to re-locate further offshore to the GPGP where the aim of the project is to remove 50% of ocean plastics every 5 years.